DigiMax D8, Solid-State Pre-amp from PreSonus in the Digimax series. stompboxjon's review"Could not believe it was at this price." 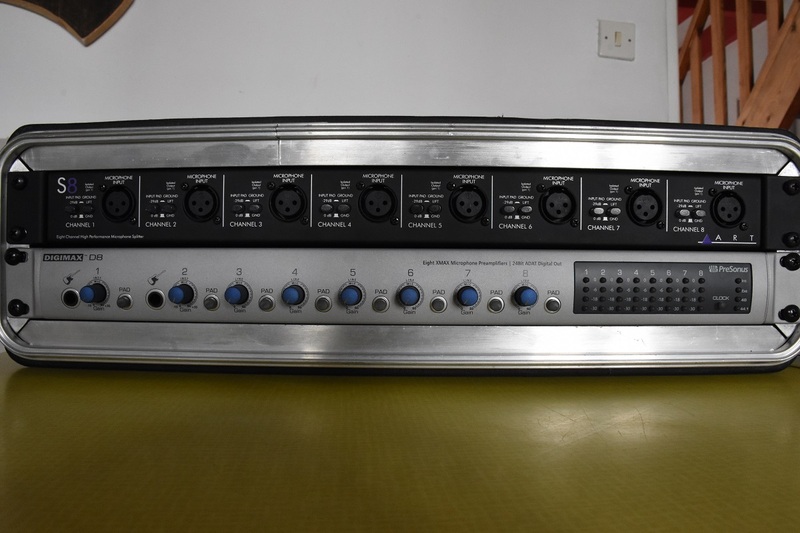 The PreSonus DigiMax D8 is an 8 channel preamp with 24 bit digital output. At first when I was researching this product before buying I thought this preamp was not going to be good because of the price. The price is very affordable; I could not believe that it was an 8 channel preamp for this price. After purchasing and using it I was very shocked and could not believe how good it sounded. I have used many other PreSonus products before and some of them gave me issues and did not last as long as I thought they would (mainly interfaces). 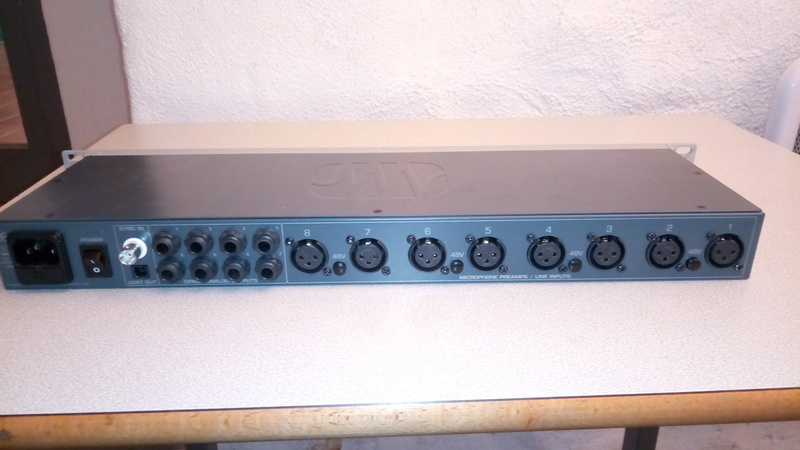 This preamp has 8 warm and clean preamps in it with 24 bit resolution. It has LED input monitoring on the front panel and it also gives you a -20 dB pad on each of the 8 channels. You can have this preamp set up in minutes and start using it right away. I did not even have to look at the manual. The D8 does not seem to be made out of solid material though, the knobs seem to be made out of a plastic like material but I guess that is the draw back of getting a good preamp at this price. The reason for purchasing this was simply to get more professional style preamps for my recording set up at home. 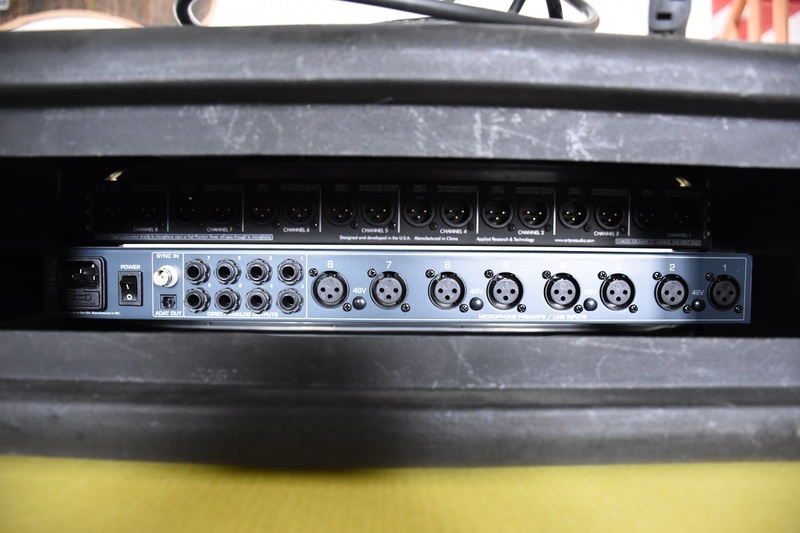 This gave me 4 more preamps than my last interface did before I purchased this one and also this interface is rackable so I could us it right on the rack space on my workstation desk (it only takes up 1 rack space). The LED meters on the front were a must have for me, that was another deciding factor to getting this interface. I have no regrets purchasing this. I just hope that over time it will hold up and not give me any issues. I do use this preamp a lot more than any other preamps now. Deserteurs's review (This content has been automatically translated from French)" Means"
I have used on two projects, I have not had the opportunity to try something else, and that is in urgent need of 8 tracks supplmentaires add my sound card Saffire PRO 26, a lower cost, I bought this machine. I immediately did some tests, and unfortunately I t's fast enough. Pramps between the Saffire and D8, there's no photo, Saffire surpasses. For convertos it's the same, I ds synchronized Saffire the D8, I had a loss of signal quality. The D8 has a rough enough signal in the low and medium. It has a ct right at the top. So I used to charley overhead or if I have no choice. In short, in my case it dpanne by its number of tracks, but no more. If c'tait I will repeat 50 more and go see the ct OCCAZ to find the best. I say that for the same price I could have taken a deuxime OCCAZ of Saffire, it would t better. In terms of specifications, all is Retailer of the manufacturer's website ..
Just put a favorable opinion ... It is a high-end bte .. Microphones utiliss taient Behringer B2 Pro type and Rode NTG-2, even the gains do not broadcast pousss bottom of breath. I have not measured the signal / noise ratio but must be understood to realize it. I do not regret having purchased this thing that I advise all to breath rduire ing annoying sometimes by GNR pramplis consoles. Here is a set homogne done everything to ensure perfect quality recording. 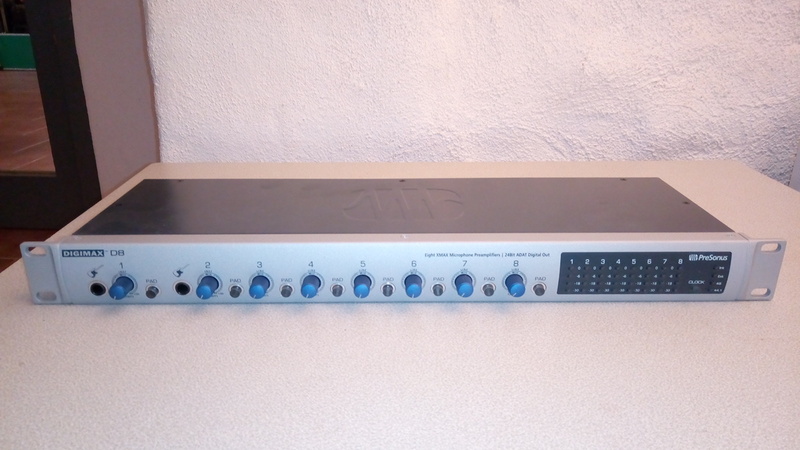 Transistor preamps Class A / D conversion of 8 channels ADAT clock Toslink / XLR / Jack / BNC Rackable 1U. No digital input not output assignment, and in any case it would serve no purpose on the input channels. if you want to use a preamp converter must be taken as the Digimax all. It is transparent enough that do not want to risk altering a clean signal.